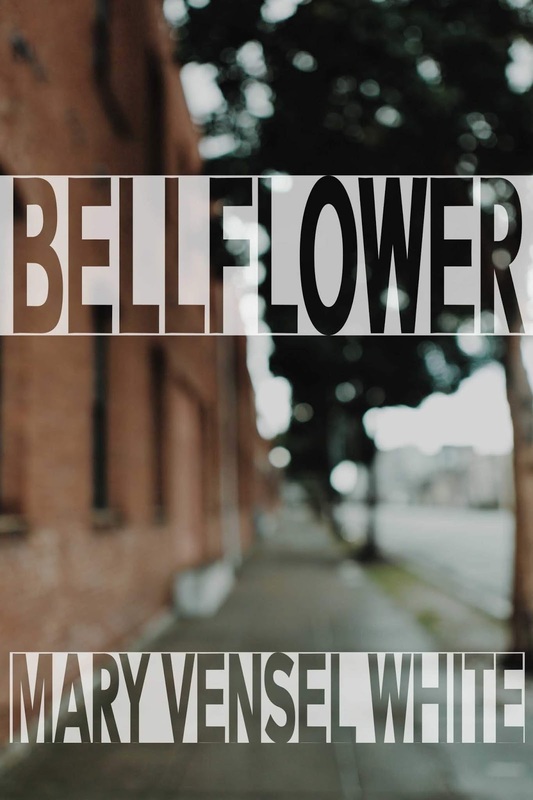 Mary Vensel White is an expert at creating original, believable characters you can root for in a paragraph or less-a skill that comes in handy when writing a novel that is a series of vignettes. These are the defining moments of these characters' lives: the cancer scare, the mid-life crisis affair, the paternity test results that seem like the end of the world. 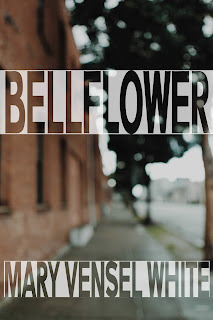 Bellflower tells these stories about the human condition and reminds us that, in the end, we're all connected. It has been a year since I launched Blood & Water and it will be on sale for 99 cents this week to celebrate. 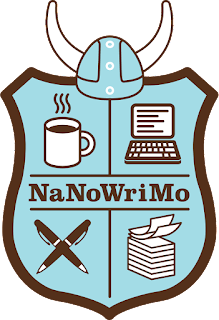 Last November, I was busy with the launch and this year I'm struggling through NaNoWriMo with my current work in progress. I hope to have an update for you on that soon. 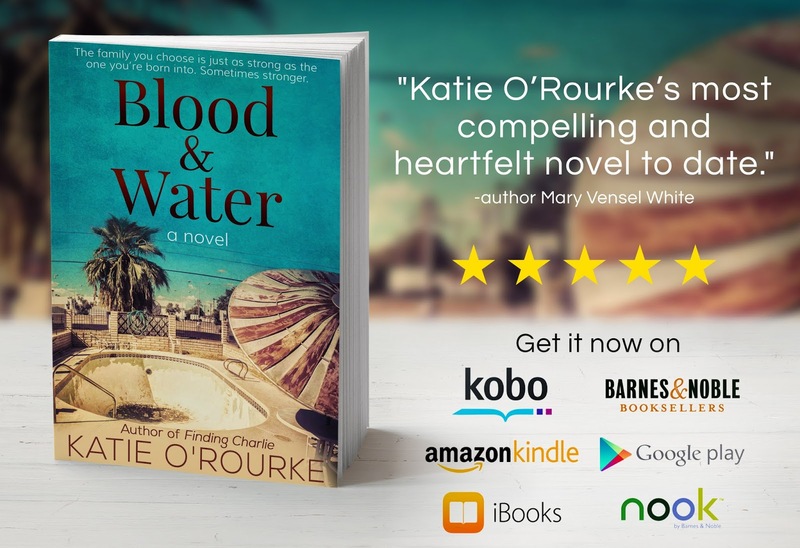 Last year, I skipped NaNo because I was focused on launching my novel, Blood & Water. This year, I'm hoping to expand on my current work in progress. I've had the first chapter written for nearly a year. Like the other times I've participated, I'll be a "nanorebel". I'm less focused on meeting the 50,000 word goal and more on setting aside writing time every day. Skipping the news: I'm kind of obsessive about this, so it is going to free up a lot of my time, but it's also going to be really hard. I'm alerting all those close to me that I'm going to need an email or phone call if some huge news event happens. I already don't have cable so I got all my news off the internet. Pajamas all day: Okay, not every day, but some days. I'm kicking off day one in my yoga pants... that I slept in. Easy dinners: I don't pretend to be a fancy cook, but this month I'm going even more bare bones. No cutting meat or chopping veggies. If the recipe requires more than 20 minutes of prep, I'll save it for December. No more reading: I finished a book yesterday that I may blog about, but that's it. That's a good list to start. 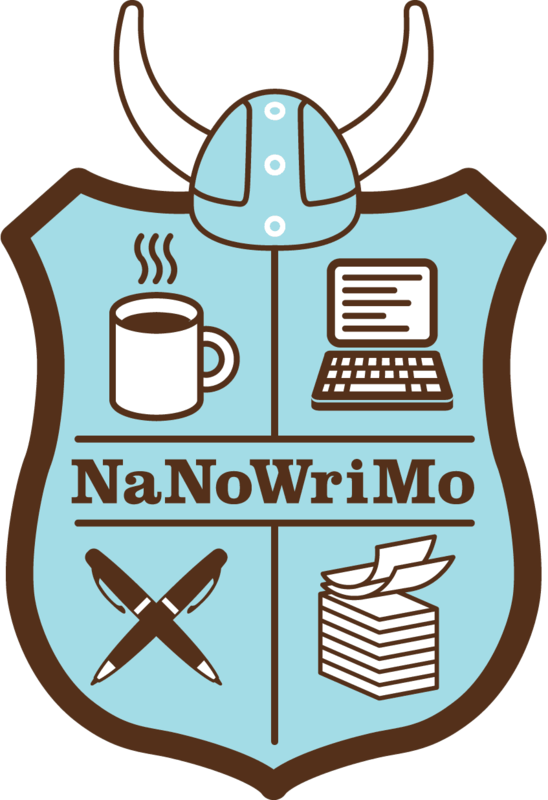 I just reactivated my account at nanowrimo.org and may have to limit the time I spend there. They have forums and twitter links and pep talks and notices for local events. It's like Facebook for writing nerds. You can connect with me there- I'm Katie78. In this novel, the super-flawed main character falls in love on a back-packing trip to Africa. When the object of his affection makes promises and then proceeds to ignore his emails, Dan's heartbreak turns obsessive. In alternating narrative, the reader also gets to know Amber, who is on the edge of vapid, but still manages to be sympathetic. The two narrate different timelines so that the story unfolds as a puzzle and the missing piece isn't delivered until the very end. Throughout, the quality of the writing stands out. 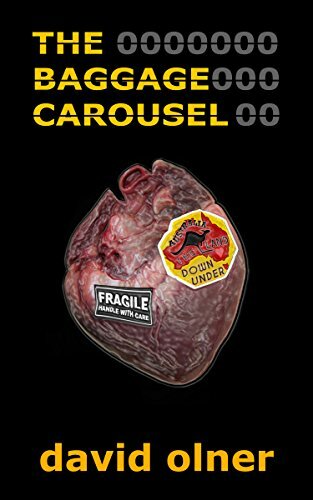 Dan is darkly witty, his tangents from the main plot not only illuminate his character, but are fun to read. The way it's organized is especially clever and the ending comes together like a lightning bolt. Of course, you think as if you saw the twist coming, though you didn't. The ending is terribly satisfying, with just enough pain and the requisite growth from each character. It was during my last semester of college that I was introduced to "creative nonfiction" and that was the bridge that led me to write fiction (after years of writing angsty, introspective poetry). People who know me well can find the sections in my novels that have been "stolen" from real life. The danger in writing autobiographical fiction is that people begin to make assumptions about the rest of the novel. All of my characters are created from fragments of actual people, but none of my characters are based on a single person. So if someone recognizes themselves in my fiction, the risk is that they will think everything about that character is based on how I think of them. This is her hobby. She pretends that it’s soothing to create collages on the covers of photo albums or journals. The truth is that she stresses over them, fitting the pieces together like a schizophrenic puzzle. A long triangle of a navy blue satin gown, the sun setting on a horizon, a pair of eyes clotted with mascara, a phrase usually from an advertisement for cosmetic surgery, something like be your best, disempowerment repackaged, out of context. She gives them as gifts, personalized. It's funny; I didn't recognize the symmetry when I wrote this. It was not intentional. But this is the way I write, taking something true and repackaging it, changing the context so that it means something different in the story than it meant in my life. The other part of the metaphor is the way that I often present my writing as a pleasurable hobby -- and there is a significant element of pleasure that I get from it -- but the truth is more complicated. My writing is something I stress over, fitting the pieces together, peeling them apart, resetting the glue. The pleasure comes in fits and starts, sometimes only with the relief of having it done. Right now, my current work in progress is eating at me. I think about these made up people all day. I decorate their kitchens and imagine their first heartbreaks and research their path through dental school. They're with me, always, nagging at me to finish their stories. And on that note, I need to go write about a kitchen. While I'm working on that, join my newsletter for updates and giveaways! The first thing to figure out when making an audiobook is whether you have (or can get) the rights. Since my publisher, Kindle Press, owns the rights, I had to ask for a "rights reversion". Check your contract. Many publishers retain the audiobook rights for a shorter period of time than the other book rights. I sent an email and had them back within a week. There are currently a lot of different options for audiobook platforms, as far as production and distribution. Every author needs to consider the pros and cons of each and decide what works best for them. Everyone is different. I can't tell you which option to choose, but here's a helpful guide that compares the most common platforms. 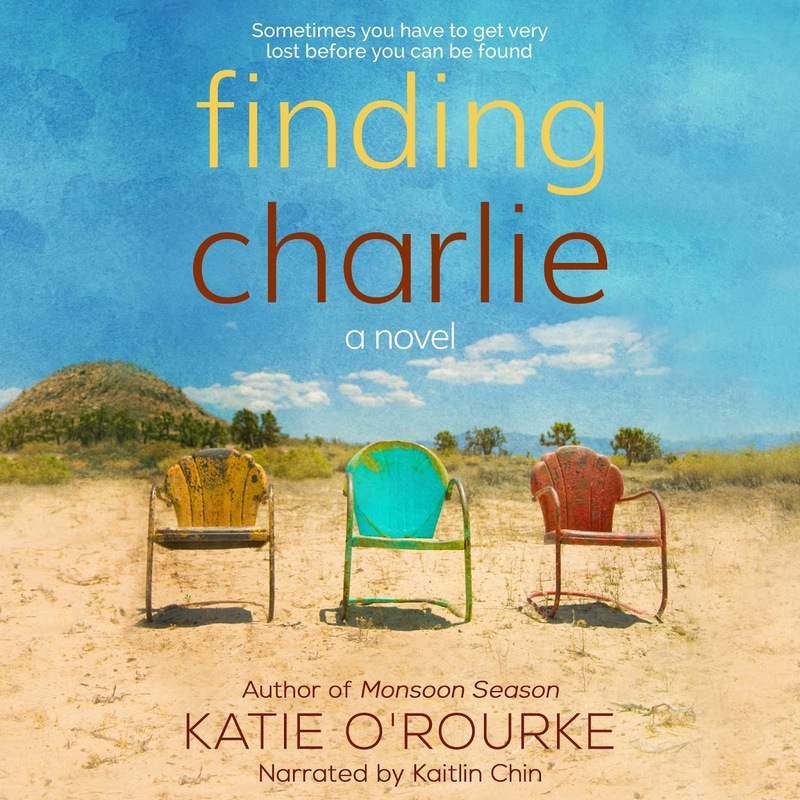 The publisher of my first novel, Monsoon Season, made an audio version in 2012, but this is my first foray into audiobook creation. Since I have several books, I might try a few different methods and compare the results, but for my first attempt, I chose the option with the least risk. I didn't want to spend any money up front so I did a royalty split with the narrator. The website allows you to search for narrators based on various criteria: gender, accent, payment options considered, etc. You can listen to sample auditions, then email select narrators to ask them to audition for a section of your book, which you upload to the site. I chose a section that included several characters so I could hear the variation. 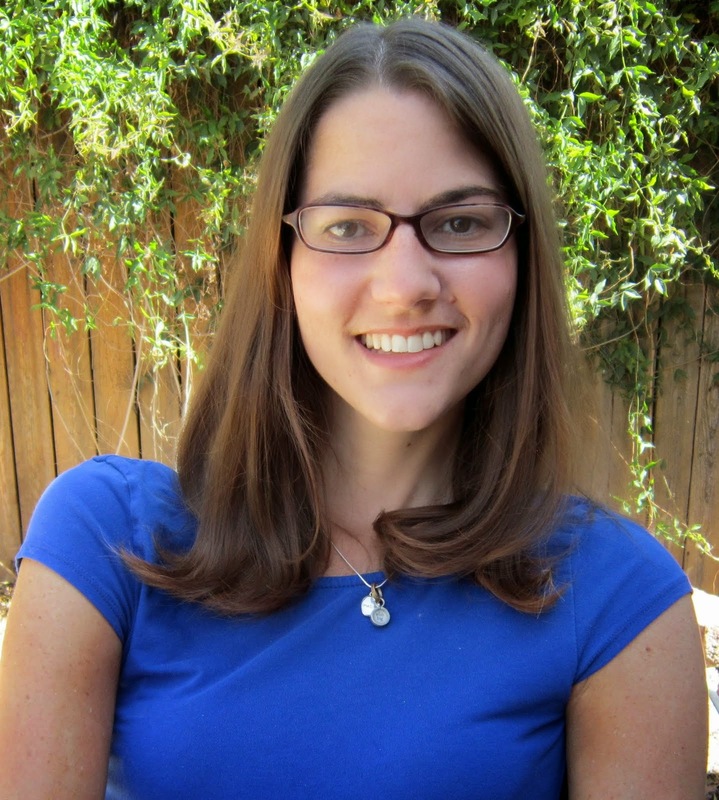 The narrator I chose, Kaitlin Chin, is fantastic. The process of making this book was so much fun and she made it a fresh experience for someone who has read the book a thousand times. Kaitlin embodies the two main characters so well and her performance is captivating. 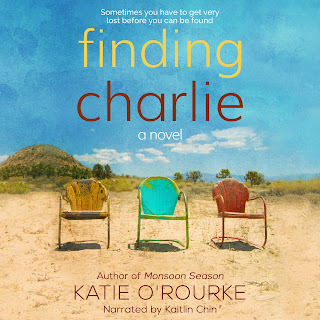 I hope you'll check out the audio book for Finding Charlie. 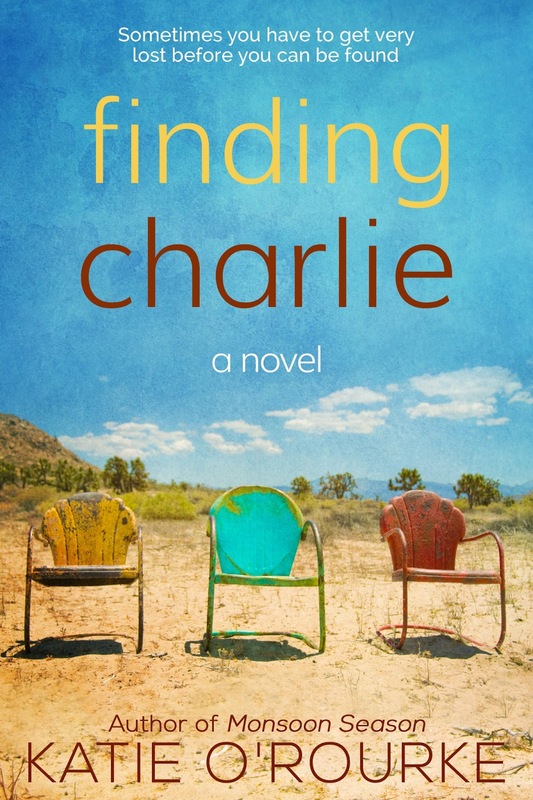 In 2015, I won the crowd-sourcing competition at Kindle Scout with my novel Finding Charlie. Since then, it has sold over 10,000 copies. Unfortunately, the program is coming to a close, which is a real loss to the writing community. Publishing is always changing and it seems like here are fewer and fewer opportunities for unagented writers to get discovered. I guess it makes those of us who made it quite an elite group. 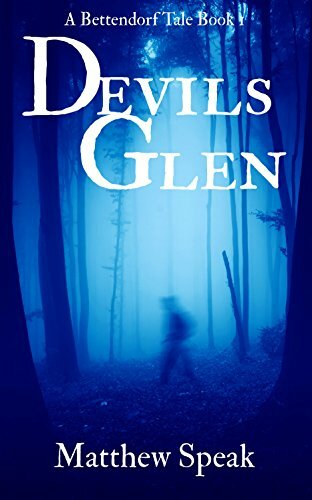 This week, Kindle Press is having a 99 cent sale for Scout books. Here are a few. John Ballard is a PI with a condition. One in a million born with a sensitivity. He absorbs the memories of whatever or whoever he touches, whether he wants to or not. 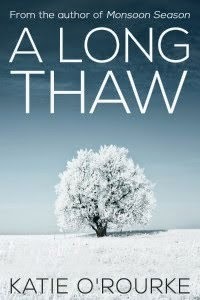 He's an outcast - one that's useful to the cops - but it makes for an isolated life. Called in to consult on a gruesome and inexplicably artistic murder, it's clear that only someone with his gift can hope to solve it... But absorbing the memories of the body is going to send John's life spiralling out of control. He'll cross every line. He'll betray everyone who trusts him. Because he doesn't just want to find the killer - he needs to find her - as the only thing that's clear about the woman behind the crime is that she's a sensitive too. After surviving life as a POW for 6 months in Afghanistan, the thirty-three-year-old Highlander forsook his medical and military career in favor of running his family’s internationally renowned art gallery in London, The Blue Dot. 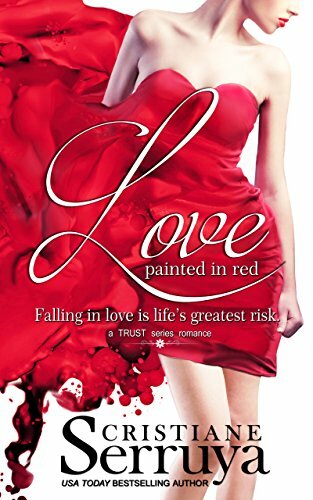 When he meets Laetitia Galen, a powerful and sizzling attraction ignites between them. Laetitia fled hell on earth when she was sixteen. Now she works as a well-paid housekeeper in a remote country manor in Warwickshire and sells her paintings in an obscure gallery. To preserve her new life and hard-earned peace, she resists Tavish and The Blue Dot's offer of an exclusive contract. Laetitia becomes Tavish’s obsession—Tavish is Laetitia’s unattainable dream. Meanwhile, a man with a burning grudge plots his long-awaited revenge. He could destroy them all over again. Macey's first day in the college employee relations department ends with a knife at her throat. Macey is certain things can't get any worse. She's wrong. An angry employee vows to put her on an online hit list. When he turns up dead, she's a suspect--and on the hit list. 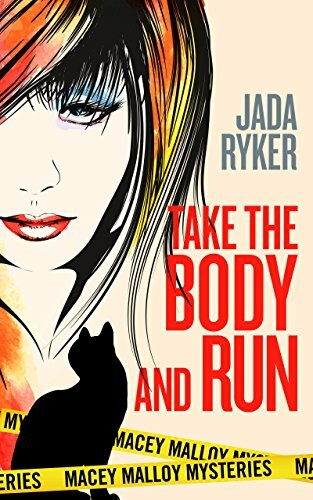 To keep her secrets and her life, Macey partners with two unexpected allies who cause her pulse to race with steamy attraction--and exasperating annoyance. 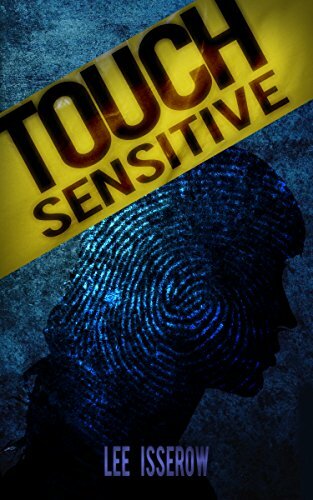 Vince, a handsome, driven lawman, digs up more than just clues to the brutal murder. Brett, a fun-loving pathologist with a deadly sense of humor, drives everyone crazy with his fart machine-will travel. Macey's supersized black cat Wikket, possessing courage, curiosity, and crankiness in equal portions, assists in his own grumpy, feline fashion, golden eyes open and claws extended. Everyone agreed Evelyn Marsh wouldn't hurt a fly, but they didn't count on a mother's ferocity, nor the fury of a woman scorned. 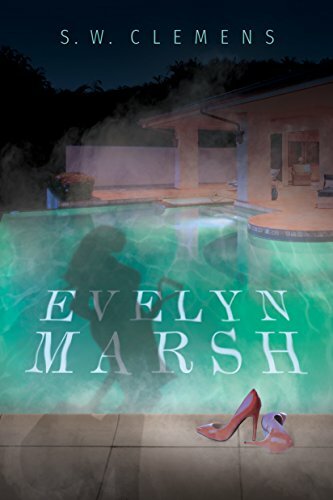 Written in the spirit of Patricia Highsmith (Strangers on a Train; The Talented Mr. Ripley), Evelyn Marsh begins with the provocative statement that "Evelyn's first murder was an accident." The rest of the book exists to explain the implication embedded in that first line. A psychological character study, it's a why-done-it and how-done-it, instead of a who-done-it.